In moments of crisis, mothers have been known to accomplish miraculous feats. We are not just talking about showing up to an event on time, with all the kids wearing shoes, but superhuman kind of stuff. You will not believe what one mom was able to do when she saw her son in the most unlikely of dangerous situations. A wild animal crept into an unsuspecting family’s backyard while the 7-year-old was playing, and maliciously attacked him. Thankfully, his mother heard his cries for help, and ran to her helpless son fighting for his life on the ground. What defense does a mother have against a wild animal? How was she to save her son in that split second between life and death? She did the only thing she could do, and went complete “mama bear”, prying the animal off of her son. Chelsea Lockhart thought it was going to be a normal day as she went about the house doing chores, while her son Zachery played in the backyard. Then, out of nowhere, she heard her son “scuffling” with something in the back of their home in Lake Cowichan, Vancouver Island. Running as quick as she could towards the commotion, she couldn’t believe her eyes. “I ran downstairs and I ran toward his voice. I turned the corner and saw this animal on my child,” said Lockhart on CTV. Somehow, not knowing where she mustered the strength from, she was able to get her hand into the cougars mouth enough to pry him off. Facing every mother’s worst fears, to see your child injured, or worse, Lockhart recalls the horrifying moments before the attack ended. Unbelievably, Zachery walked away from the attack with only a gash on his head and a few cuts on his neck and arms, according to ABC News. How do mothers lift cars, run faster than ever thought imaginable, and fight off wild cougars to save their children? Many believe there is a spiritual element to it, and Lockhart is no different. After the attack, Zachery was put up at his grandma’s house, where he is sure to make a full recovery after receiving stitches, and possibly be spoiled in the process; but he deserves a little extra pampering. 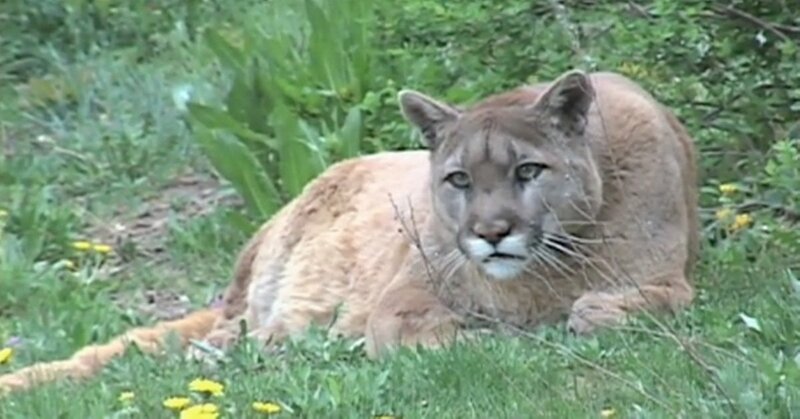 The cougar who was most likely to be the attacker was found by the British Columbia Conservation Officer Service a mere 20 yards from the Lockhart home. There were two juvenile male cougars who were apparently hungry and looking for food when they stumbled upon Zachery playing, according to ABC News. The cougars will no longer be a threat to additional children, because they were euthanized after the attack to prevent any future harm, said Scott Norris, sergeant with British Columbia Conservation Officer Service. Although, cougar attacks are rare, there has been several over the past few years on Vancouver Island, Norris reports. It’s hard to imagine what we would do in the heat of the moment when we see our children in danger. With emotions are running rampant, it is hopeful that all mothers would act as courageously as Lockhart when it matters most, saving our children from impending doom. Please let us know in the comments section what you think about Lockhart’s bravery, and her action in a stressful time.